Learning about storms has never been so much fun. 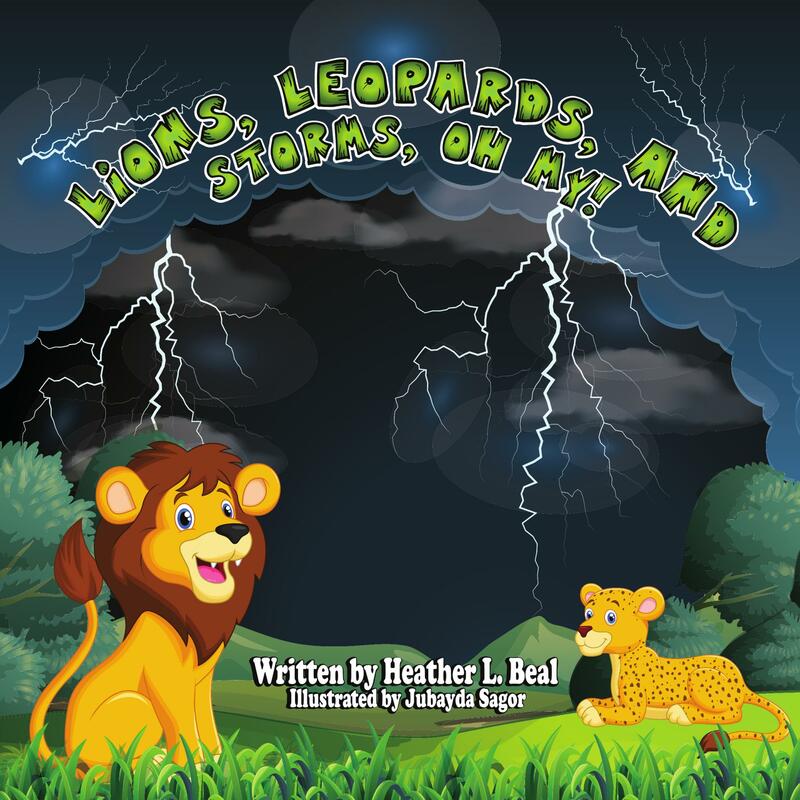 In Lions, Leopards, and Storms, Oh My! by Heather L. Beal, we return to Ms. Mandy’s childcare for another entertaining and educational story. When Lily and Niko are playing outside, a loud boom makes them wonder what is going on. Ms. Mandy brings them back to the classroom, and with the help of Mr. Raccoon, talks to them about storms and what to expect. Most importantly, the students learn how to stay safe. Just like in Tummy Rumble Quake, Beal shares important information with young children in a lighthearted way. The cute animal characters, illustrated so sweetly by Jubayda Sagor, ask the questions youngsters will want to know when faced with experiencing a storm for the first time. The colorful artwork also serves to make the story more playful to lessen anxiety. The final page of the book has questions and activities, and the children will enjoy going out to the Train 4 Safety website with the help of their parents to print out a certificate of training completion. I look forward to more safety books from Beal and Sagor soon.